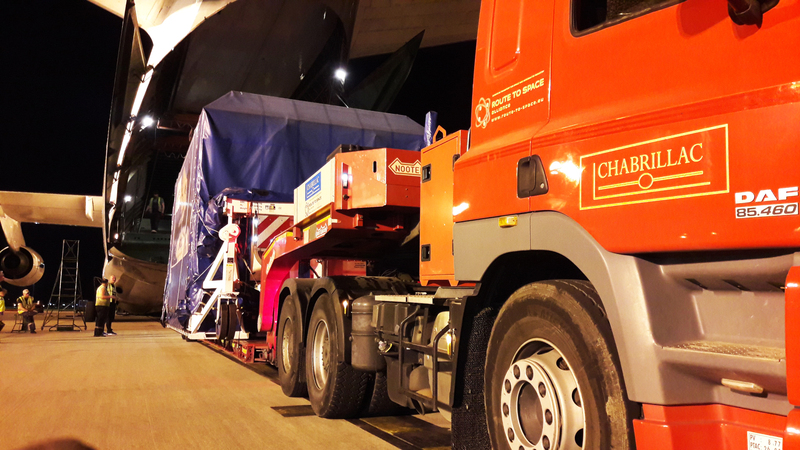 CHABRILLAC is used to transporting materials for the Aerospace industry. 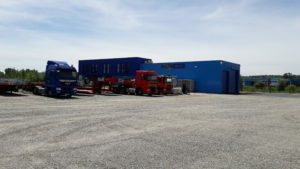 These equipments are often wide and high, sometimes long and tend to be more and more heavy. So, we thought we should invest into getting the most multi-purpose trailer. 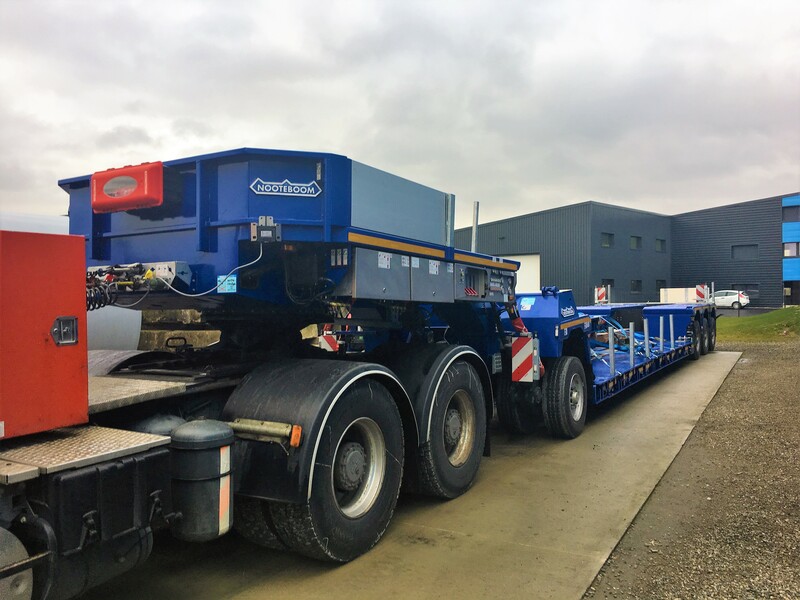 After a significant one year waiting time, our brand new EURO-71-13 (IPC) NOOTEBOOM trailer was finally delivered to our Toulousian facility.This 3-axle EURO-PX low-loader with a single-axle interdolly Compact is equipped with a special ultra-thin extendible load floor, also known as a ‘Super Shallow Deck’. 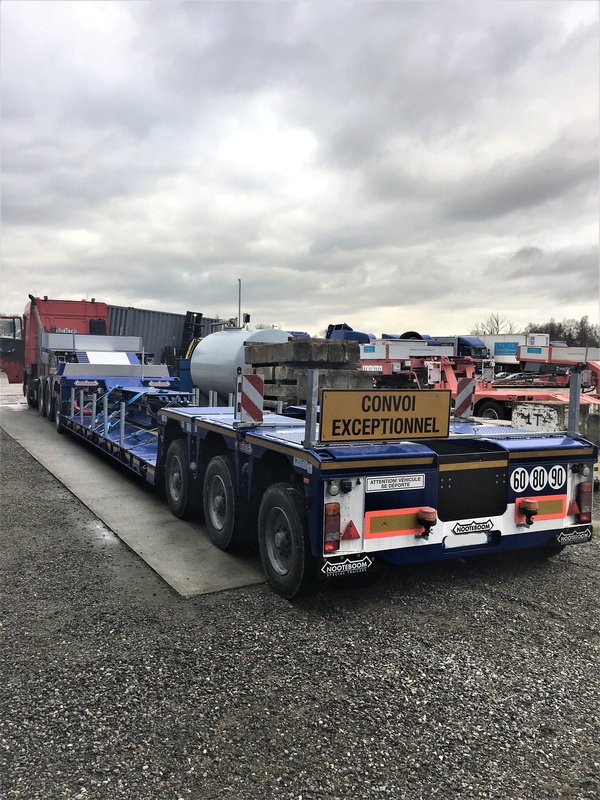 This load floor, which thickness is only 23 centimetres, offers CHABRILLAC the maximum loading height that we need for our loads. With this new trailer CHABRILLAC stands out! On July 4th, an AOG left Roissy-Charles-de-Gaulle tarmac. 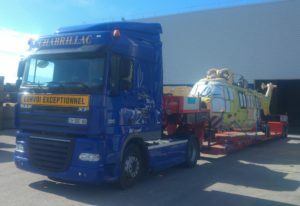 After a 1150 km ride through France to Genoa, Italy, aboard a CHABRILLAC extra-low-bed trailer, the material finally embarked on July 7th for a 1320 km journey through the Mediterranean sea. On July 9th, the AOG was able to sight Malta island approaching on the horizon from its 3,38 meters high. 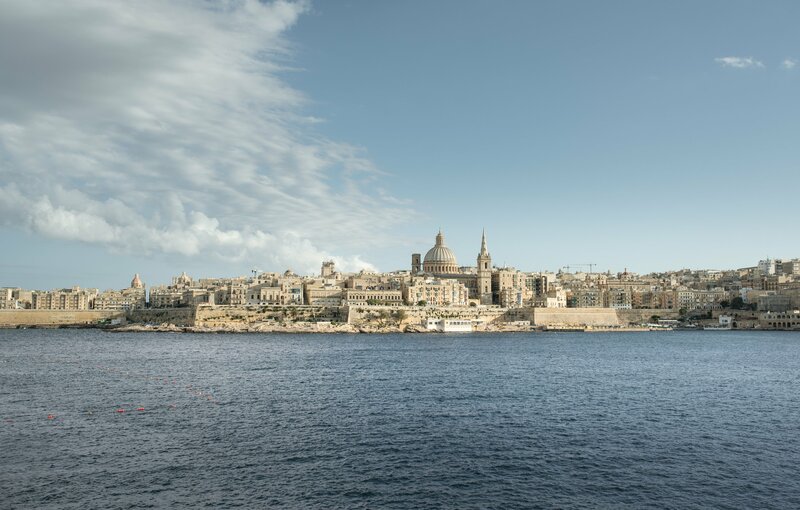 It landed in Valletta with the sunrise. Once delivered, the driver and its semi-trailer left the island by evening to reach back the continent. 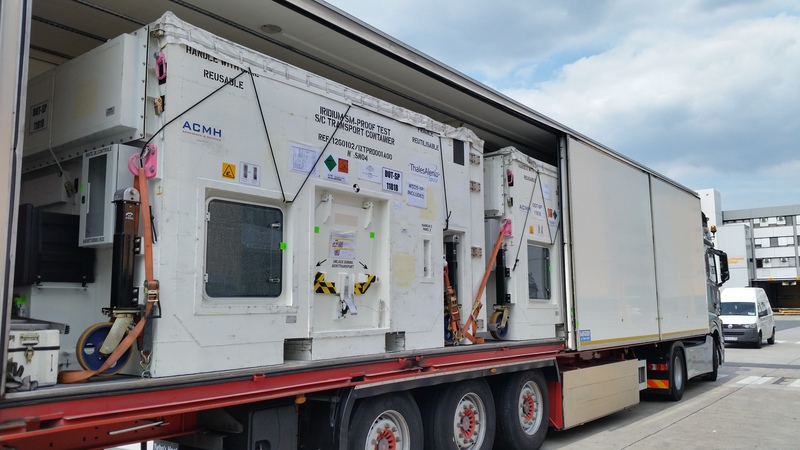 Manufactured at the Airbus facility in Friedrichshafen, Germany and tested in Noordwijk, Netherlands, the sensor module met with its payload module at Airbus in Toulouse, France where they both were assembled. 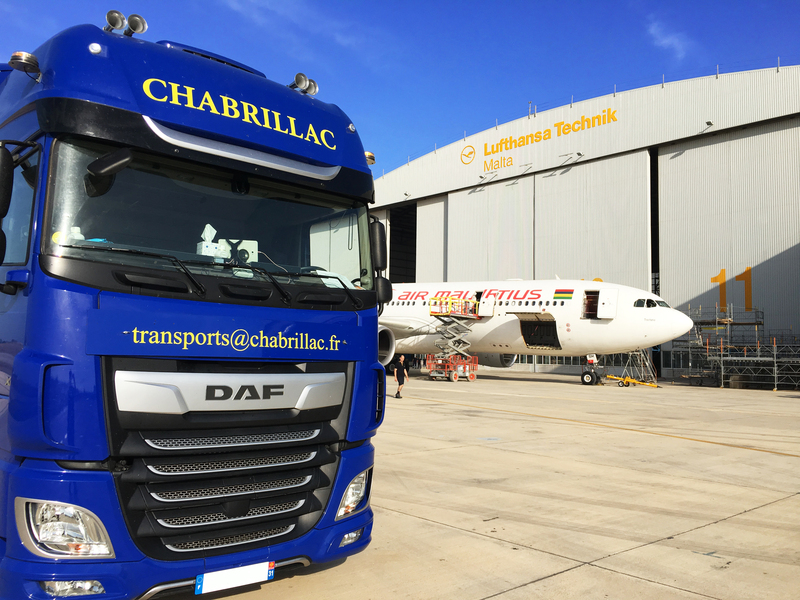 The various elements composing the satellite were convoyed to Toulouse Blagnac airport by CHABRILLAC transports, founding member of the RouteToSpace Alliance. The last two weeks of June Chabrillac's organisation had to be as regular as clockwork, to say the least. The third generation European weather satellite Metop-C transport required around sixteen tautliners and skeletal trailers and two special convoys on extra low bed trailers, loaded with accompanying material, payload module and service module. 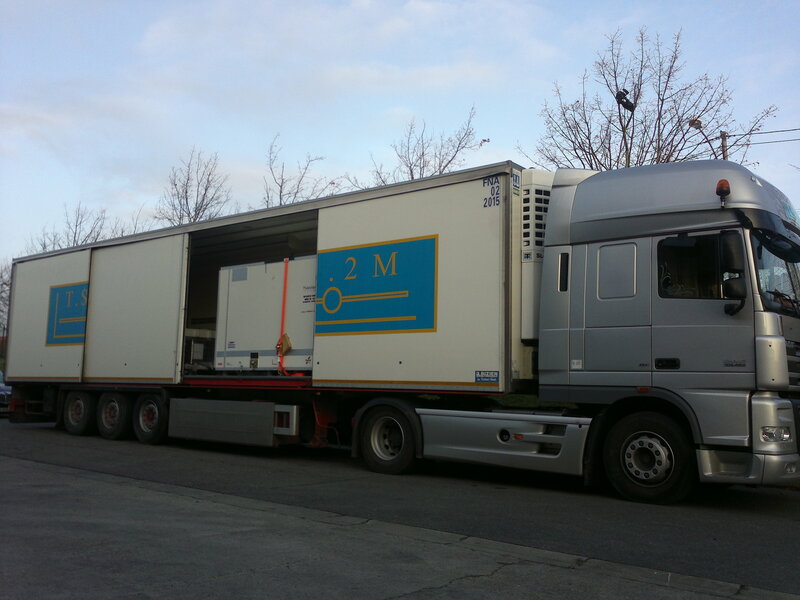 The whole package was delivered safe and sound to Toulouse Blagnac Airport. 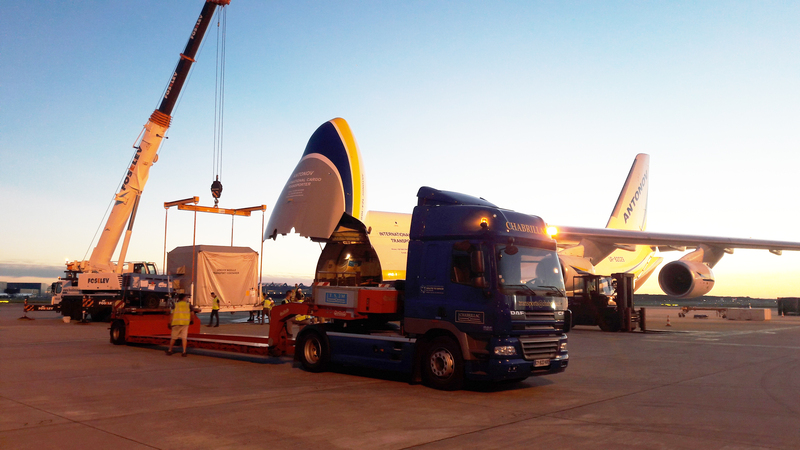 No less than three Antonov an-124 were needed to accomodate every element of the satellite which will be living its last flight within earh's atmosphere before being launched into orbit next October by the Soyouz launcher based in Kourou. On last March 30th, 10 spacecraft belonging to IRIDIUM constellation were sent by SPACE X FALCON9 launcher. This was the 5th combination of satellites amongst the soon-to-be constellation of 81. 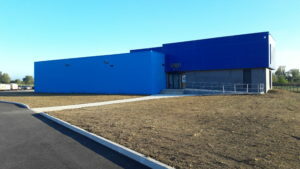 Next launch is now scheduled on May 19th. 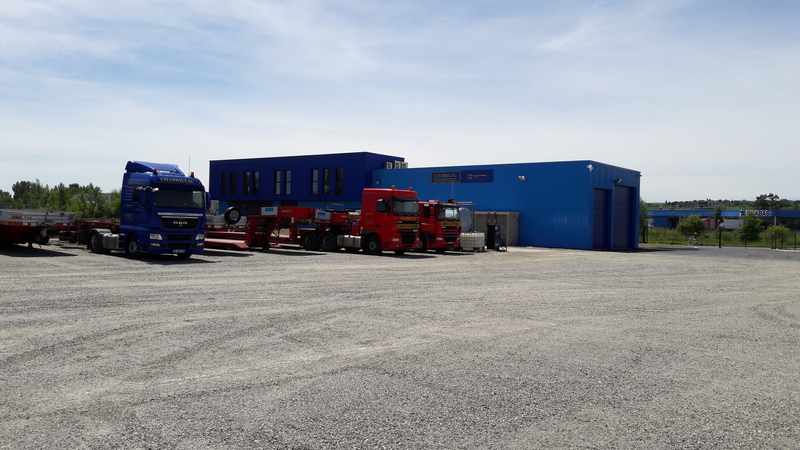 All the spacecraft were made in Toulouse, Cannes, Turin and Rome THALES ALENIA SPACE sites and carried from these sites to Francfort airport by CHABRILLAC transports, the French Route To Space company, thanks to regulated temperature trailers with sliding sides. These particular trailers besides allowed the transport of the satellites of constellations GLOBALSTAR and O3B. Transports CHABRILLAC displayed their engineering and their know-how to assure the loading and the secured transport of this helicopter between two phases of assembly. After realisation of a custom-made stowage, the transport took place in perfect conditions, and the helicopter was brought to good port.